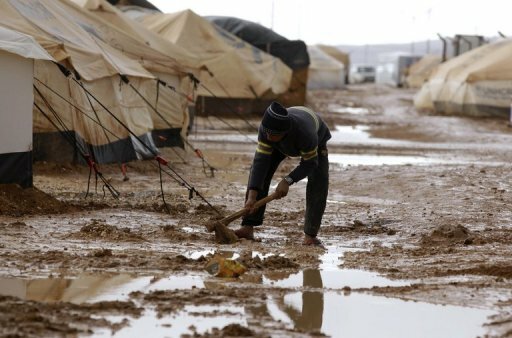 Al Mafraq (Jordan) – A total of 371,562 Syrian refugees have benefited, until July 10, 2014, from services at the Moroccan medical-surgical field hospital set up at the Zaatari camp, in Al Mafraq region north-eastern Jordan. Infants and children top the beneficiaries (159,060), followed by women (113,182) and men (99,320), according to figures released Friday by the said hospital. The various departments of the hospital ensured for the Syrian refugees some 527,294 medical services and 338,194 prescriptions. The emergency room received 91,754 cases, while the pediatric ward treated 54,986 children, said the same source. The number of women who gave birth in the hospital has reached 512 cases, including 455 by Caesarean section, while the number of refugees who were admitted has reached 8,399 cases, including 649 war wounded.